Rated PG-13 for language including some crude sexual references, drug related material, and brief violence. Tom Dobbs, comedic host of a political talk show - a la Bill Maher and Jon Stewart - runs for President of the US as an independent candidate who, after an issues-oriented campaign and an explosive performance in the final debate, gets just enough votes to win. Trouble is he owes his victory to a computer glitch in the national touch-screen voting system marketed by Delacroy, a private company with a rising stock price. To protect their fortune, Delacroy executives want to keep the glitch a secret, but one programmer, Eleanor Green, wants Dobbs to know the truth. Can she get to him? Advertised Wrong...Draged On, 13 October 2006 Author: bflatt from Canada I saw the movie with some friends, expecting to see a laugh out loud comedy, something smart and funny (like john Stewart) to my surprise the movie was more about the flaw in voting instead of the humour of this comedian. 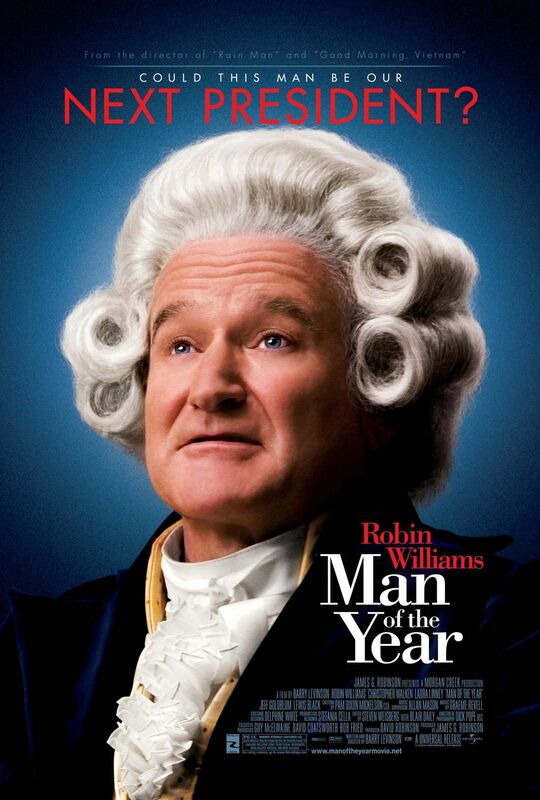 there were some parts where I did find my self laughing and robin Williams was quite charismatic when saying speeches, monologues or when on his talk show..too bad that only made up about 25 minutes of the 2 hour movie..i felt there was too much filler and the events were boring and slow. Would',ve been much better if it were a)shorter and b)focused more on him as a comedian/presidential funny-man instead of trying to solve the problem with the voting machine conspiracy and how he shouldn',t be in office!!! !